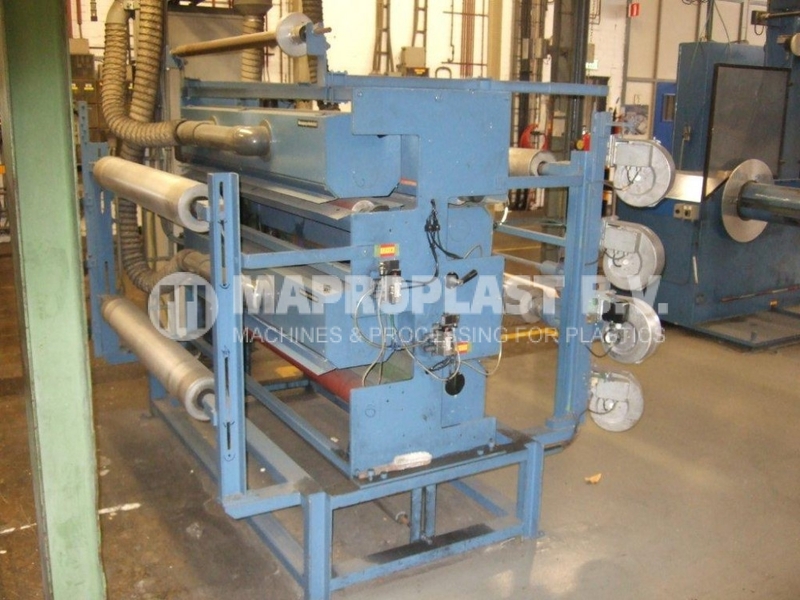 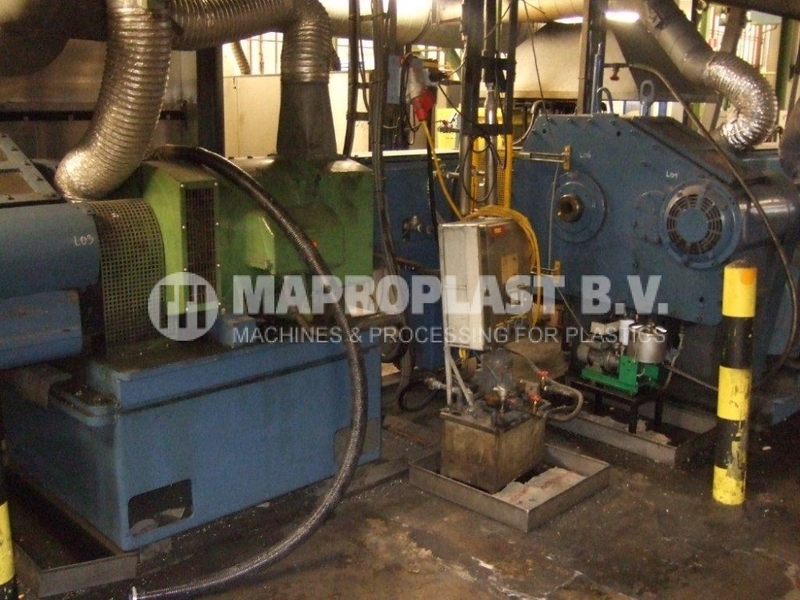 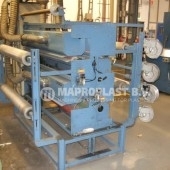 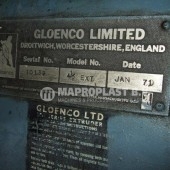 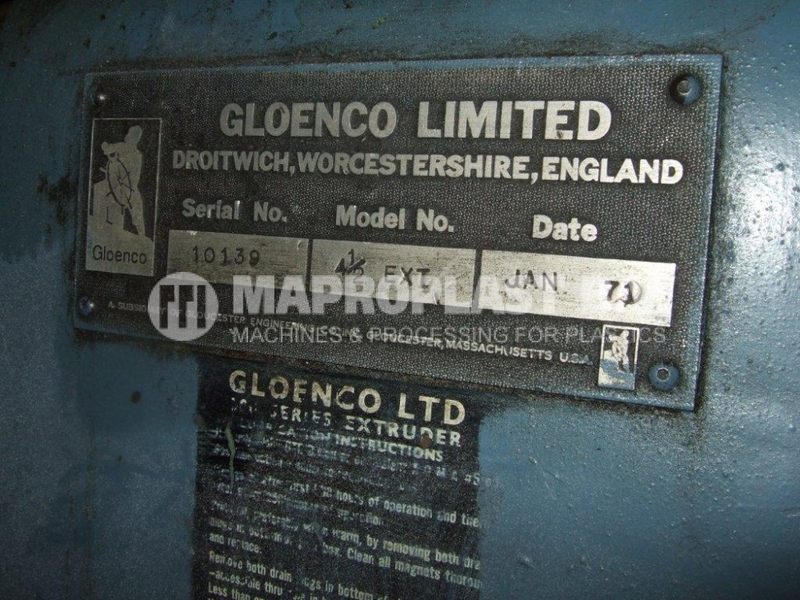 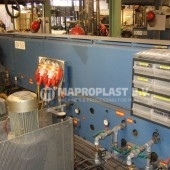 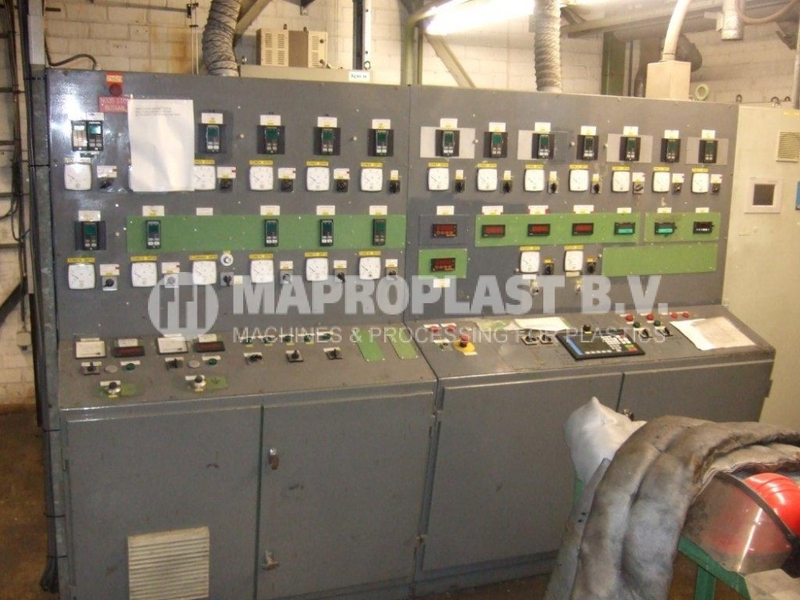 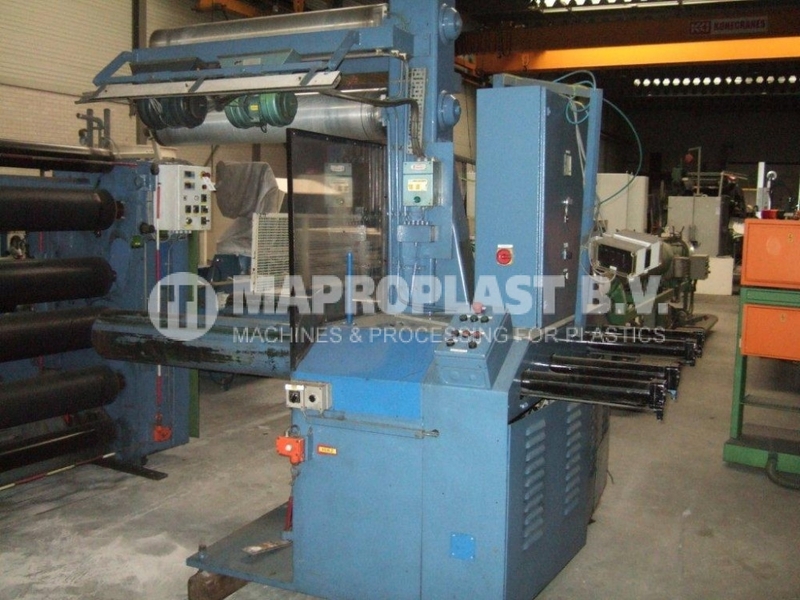 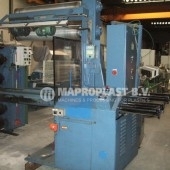 Gloenco XPS Sheet Extrusion Machine . 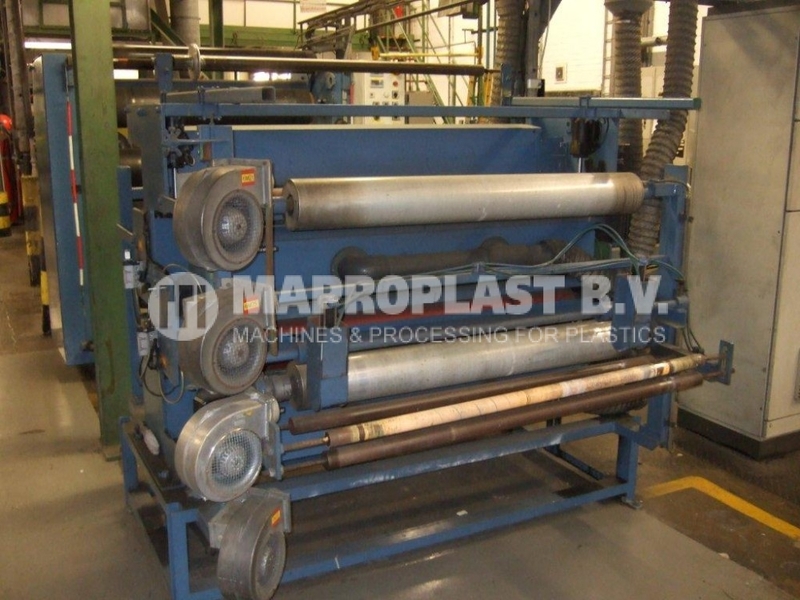 1200 mm wide,max 350 KG/hour XPS sheet. 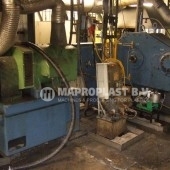 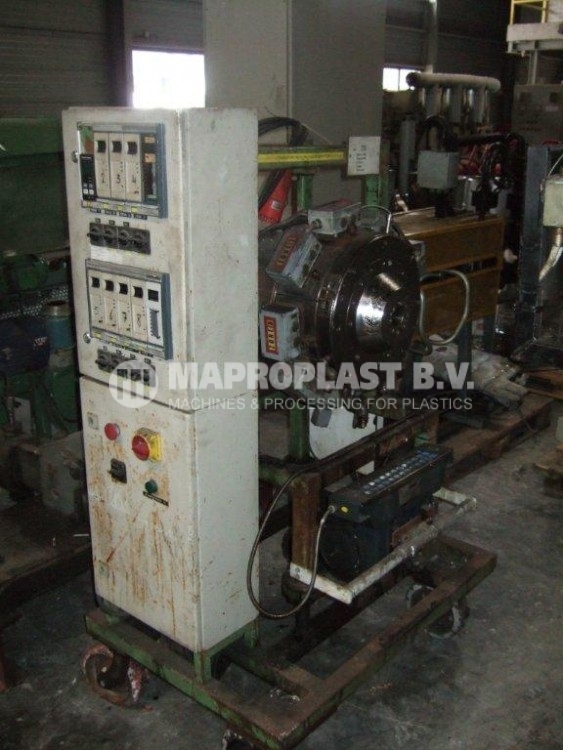 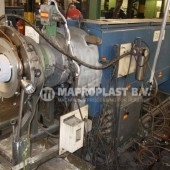 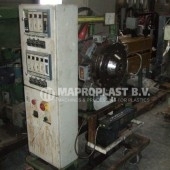 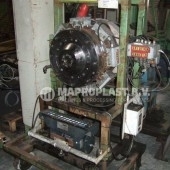 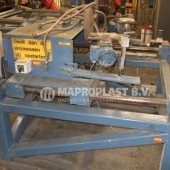 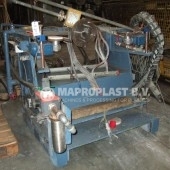 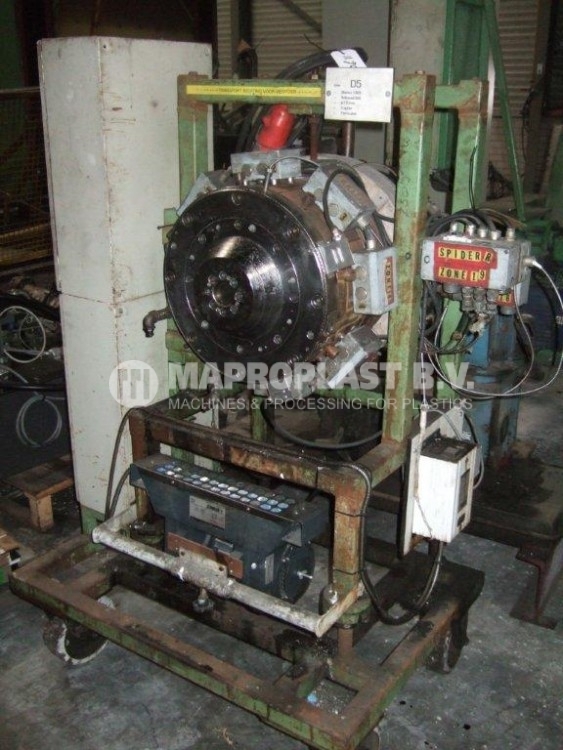 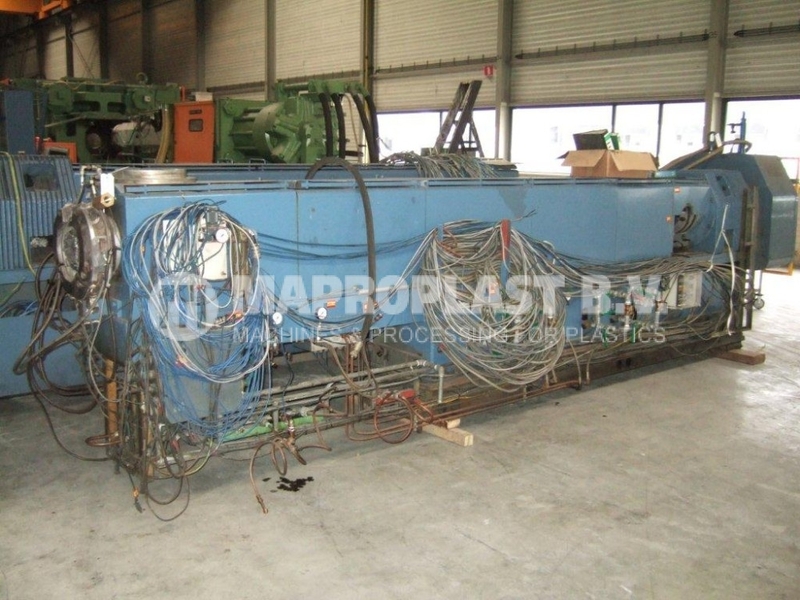 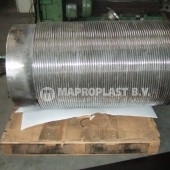 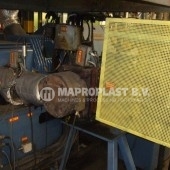 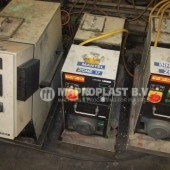 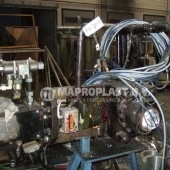 Extruders : 4,5 inch x24D primary extruder, 6 inch x30D secondary. 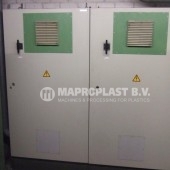 Drive : 92 and 92 KW DC drive. 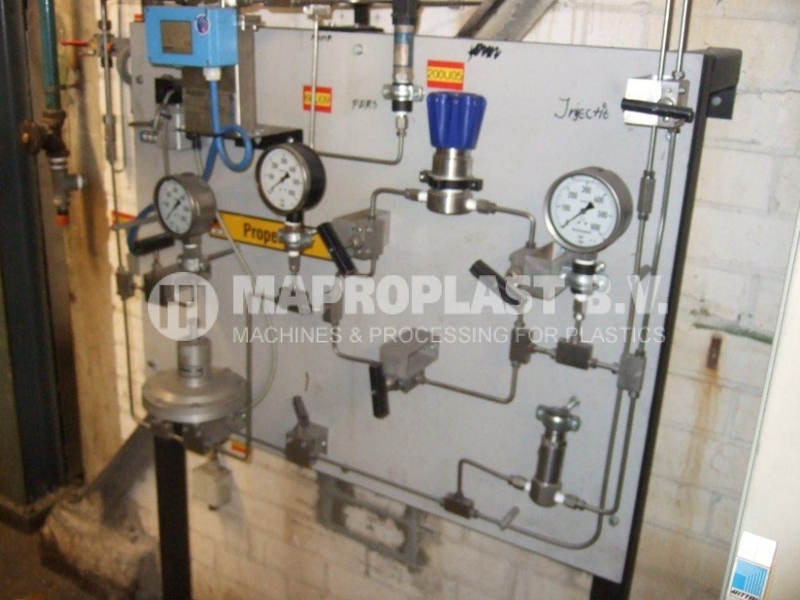 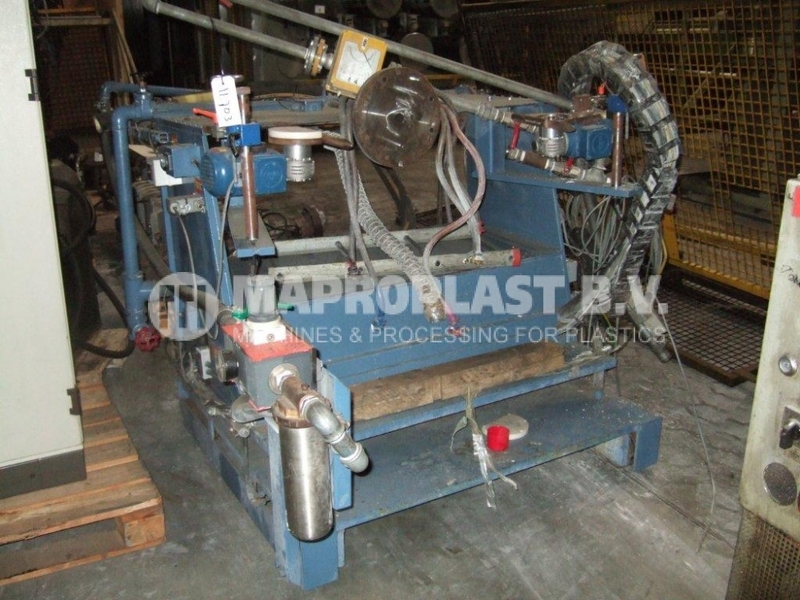 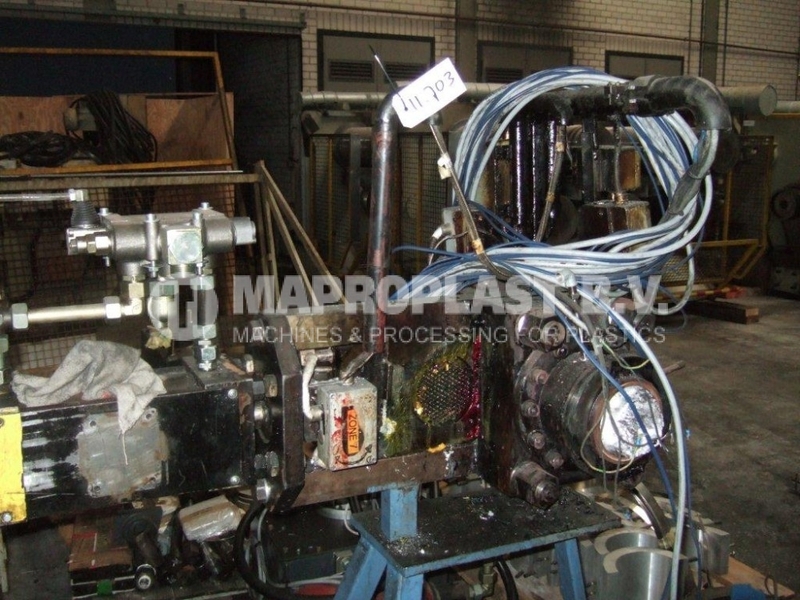 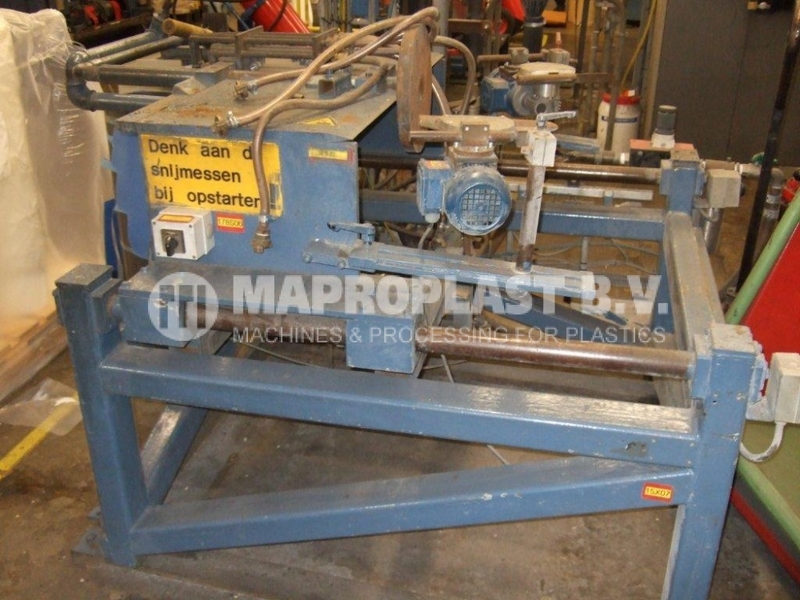 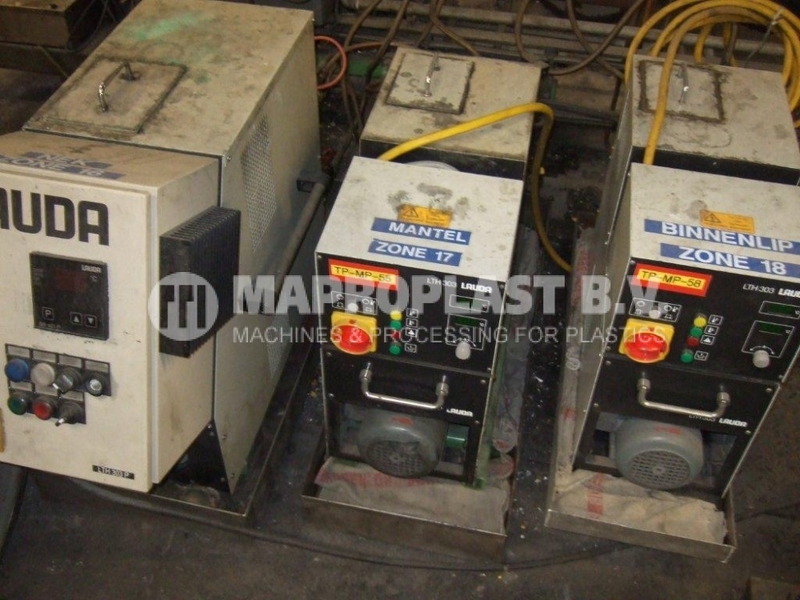 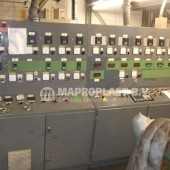 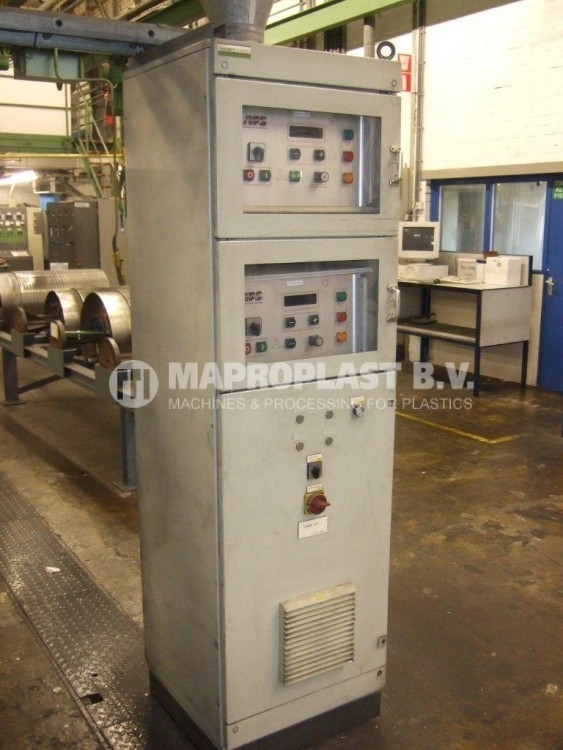 Screen Changer : hydraulic with oil unit/. 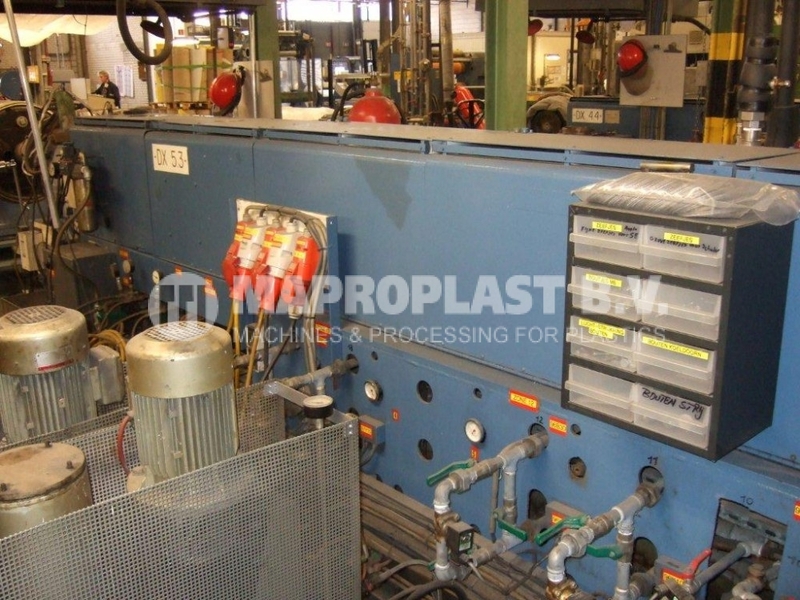 Cooling : water and oil. 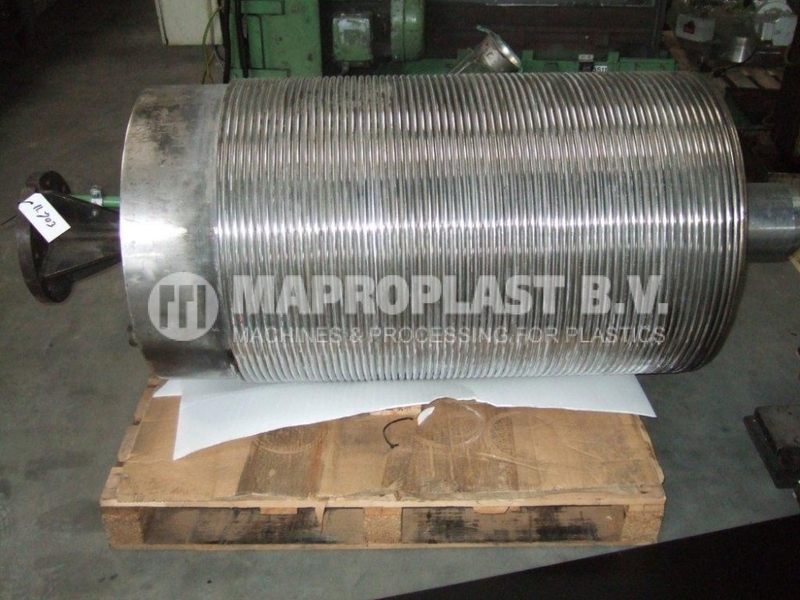 Condition screw and barrel : good. 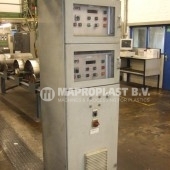 Is in running order : Yes running XPS at 300KG/hr for food trays now. 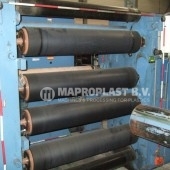 Type of process : slit line , slit sheet on rolls. 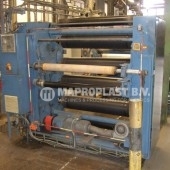 Down stream : Mandrell,S-wrap (max speed 22 meters perminute),corona,2 double winders width 1300 mm ,max roll diameter 1.6 and 2 meters, max roll weight 250 kg,Pump Lewa, one tonne bunker for virgin material,100 liters bunker for regrind. 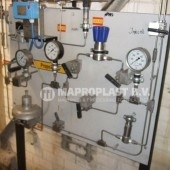 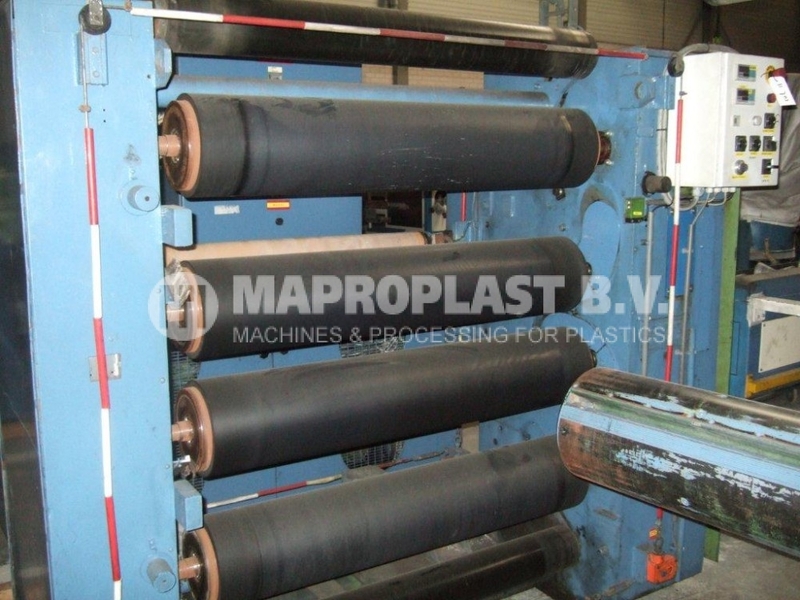 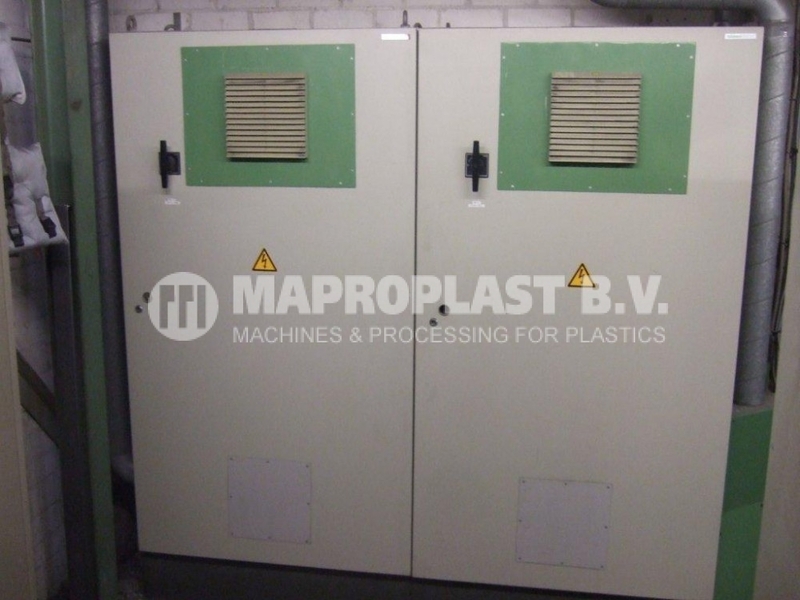 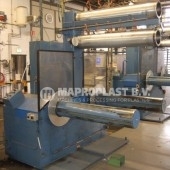 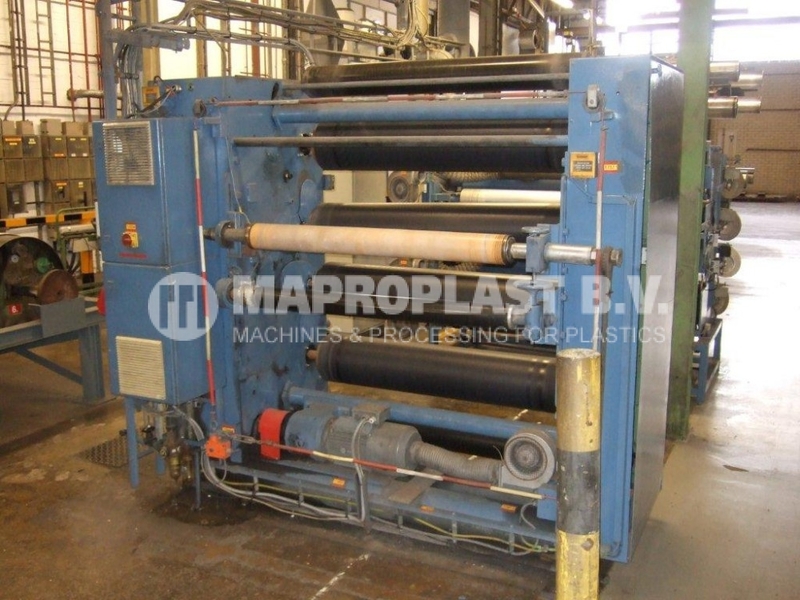 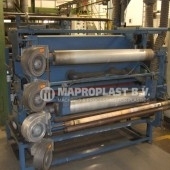 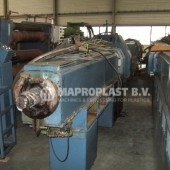 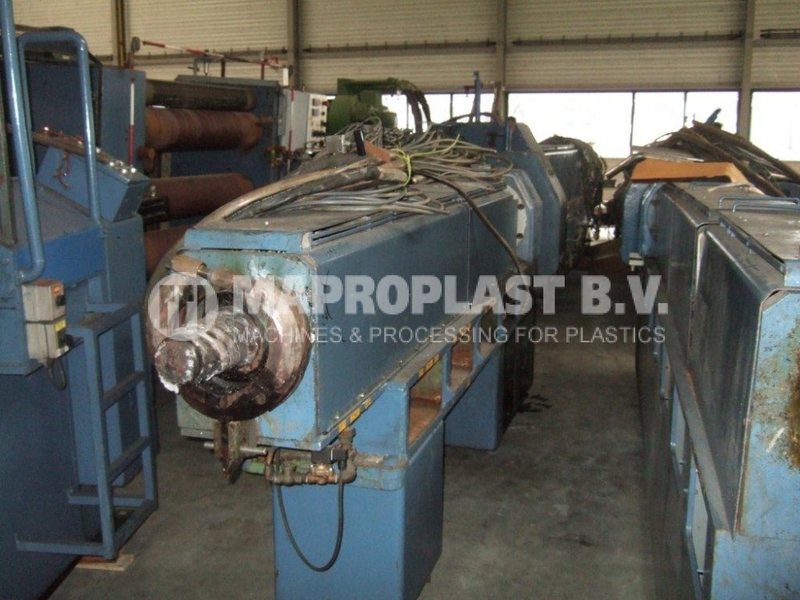 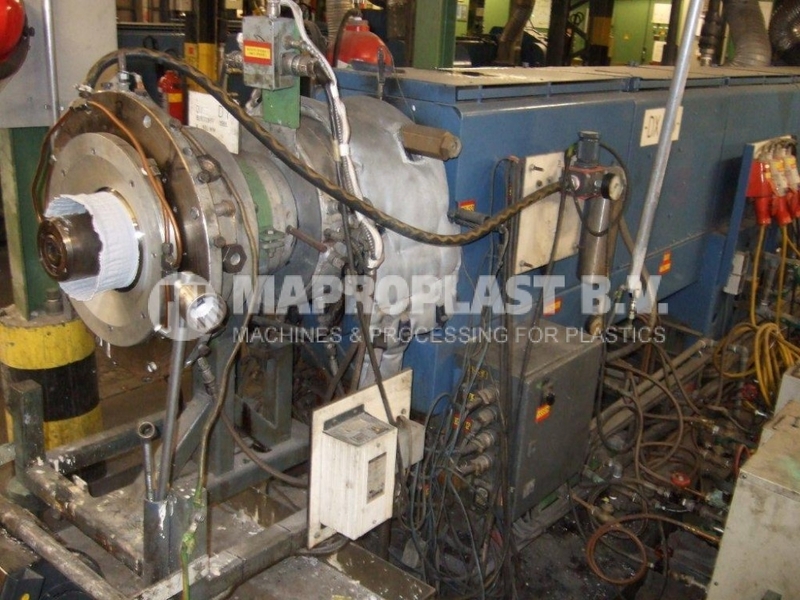 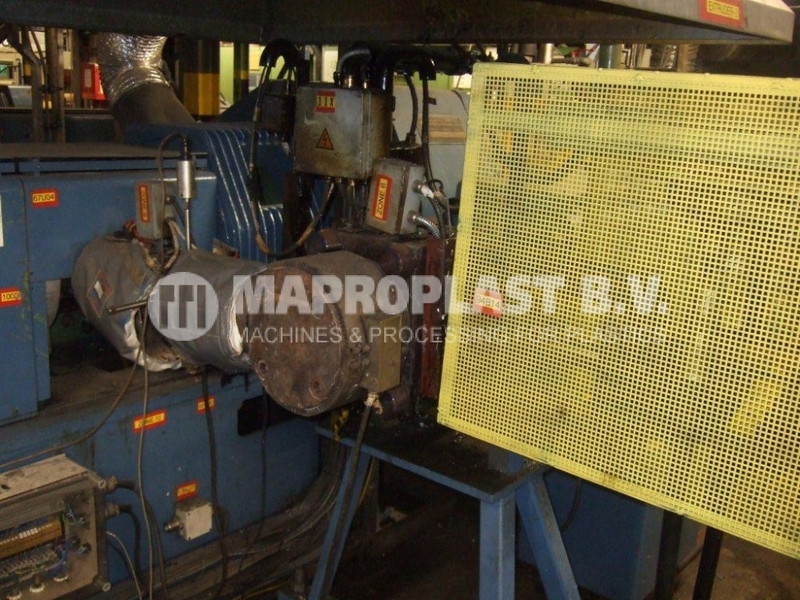 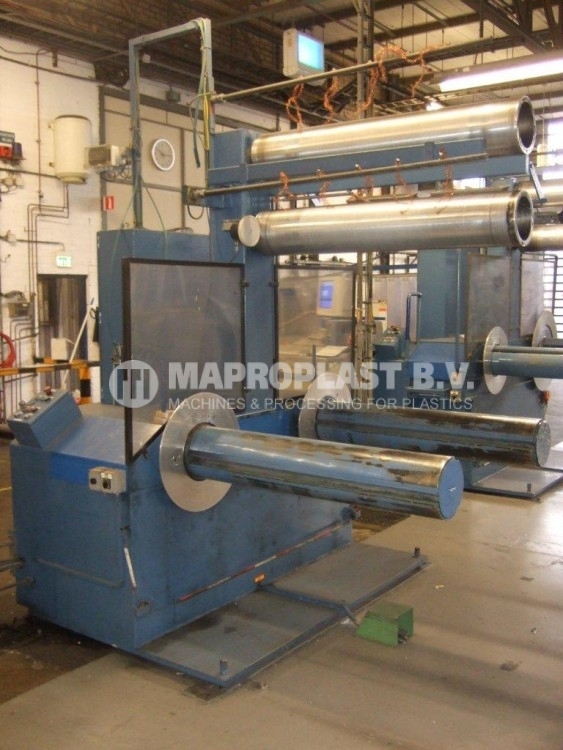 SKU: 10.1.002/11.703 Categories: Cast film/sheet, Extrusion lines Tags: extrusion machine, sheet, thermoforming, Extruder, extrusion line, sheet extrusion line, single screw, used machine, used plastic machine, XPS sheet extrusion line Brand: gloenco.